Calgary, Alberta, March 28, 2019 – Decisive Farming is excited to announce that its My Farm Manager™ (MFM) platform has been selected as a finalist for the 2019 Vision to Reality (V2R) Awards in the Visionary category. 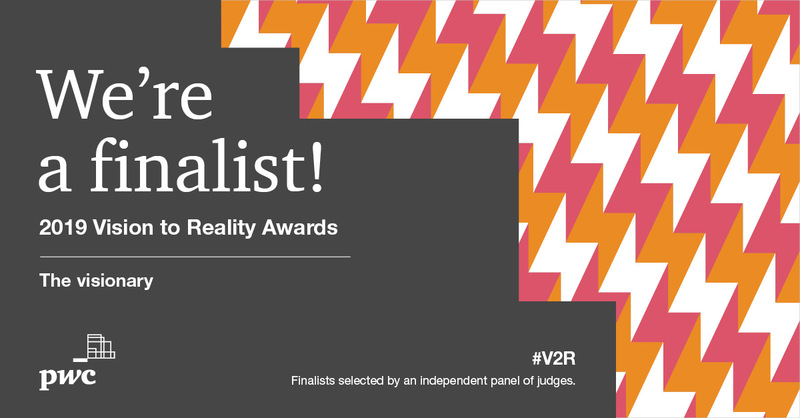 The Vision to Reality (V2R) Awards is PwC Canada’s annual program aimed at recognizing and celebrating the most forward-thinking organizations in the nation. Decisive Farming’s patented MFM data platform provides a crop farmer the ability to make better decisions on all critical operational functions. By connecting farm service and technology providers in one platform, crop farmers are able to deliver top-quality products more efficiently than ever before. Currently MFM is being used in North America by leading companies throughout the entire agriculture value chain and has over 1,500 farms representing over five million acres generating $1.5 billion in annual crop production of 40 different crop types. Final award recipients will be announced on May 9, 2019, in Toronto, Canada.